Hi, Uncle Sam, please can you share links for the files from first post for 19.1 game version. I want to play it with claassens Europe megapack. Are your files compatible with it? I honestly can't say for sure. I never tried it. I would say give it a go, and if you experience any issues let me know in here. My game keeps crashing when I try to start a new career. Which editor files should I be using for the new update? 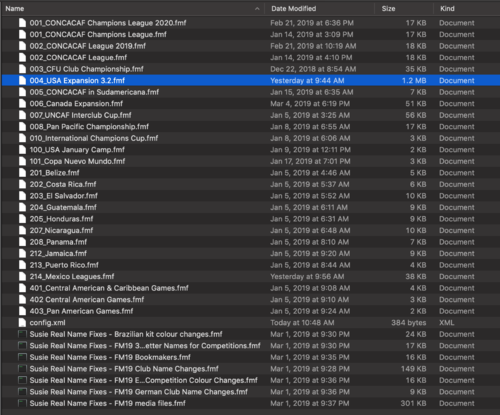 I haven't had that issue, but I can see you need to get rid of the "001_CONCACAF Champions League.fmf" and "002_CONCACAF League.fmf" files because those are redundant. Not sure what's wrong. Didn't have any issues with the last version, but it crashes every time the game is setting up the new database. -I've fixed the Concacaf club competitions so it's 22 in the Concacaf League with 6 advancing to join the 10 automatic CCL qualifiers. The CPL winner now qualifies for the preliminary round of the Concacaf League. I have also modified the Mexican and Costa Rican leagues so that the proper teams will qualify for the Concacaf competitions. These MUST be included in your editor files folder in order for them to work correctly. -I'm hopeful to have sorted out the USSDA and NCAA championship competitions so that the players don't go on holiday. -Because the NISA has been granted sanctioning I have gone ahead and put them in starting in 2019. 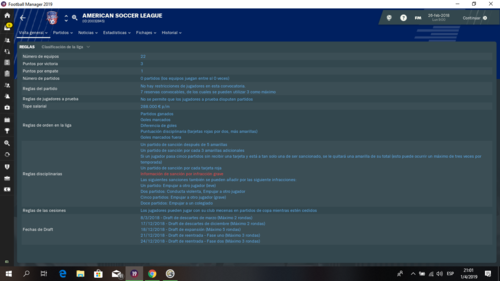 The real-life planned Fall-Spring schedule format cannot be duplicated in FM because a nation's league structure MUST all run on the same calendar, so it will be a spring-fall format. Great! Did you update the Central American & Caribbean Leagues, too? No, I'll do that, but the Costa Rica file in the new download needs to override the one in the CA & Carib pack. @Uncle_Sam I don't know why but I keep getting "Can't find child comp for USSF division 3" and then the game crashes about 20 percent into setting up the database? Is anyone else having this issue? I have not encountered this. Best suggestion I have is try clearing your cache. Maybe check your editor files folder and make sure that you don't have any redundant files. Yeah, exact issue I'm having on my macbook, even with just MLS and the US/Canada expansions files loaded. 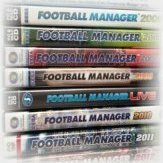 Care to share how you updated old FM18 editor files like u have claasens? It depends on the file. Do you have a specific question? Yeh, is it like direct transcribing of options, or is it something to do with exporting FM18 files as xmls or whatever and Importing them in Fm19 editor. Basically just how do you do it for applicable files. Also what makes a file applicable. 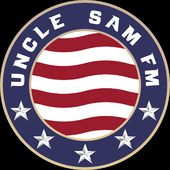 @Uncle_Sam Have to say: awesome work you did! Downloaded yesterday and very impressed! One thing though: I also downloaded the Jamaica file, when I load up FM it appears not to be Jamaica, but Trinidad and Tobago. Also, the El Salvador File gives me an error before continuing to Advanced Options..
can this new updates work on 19.1? 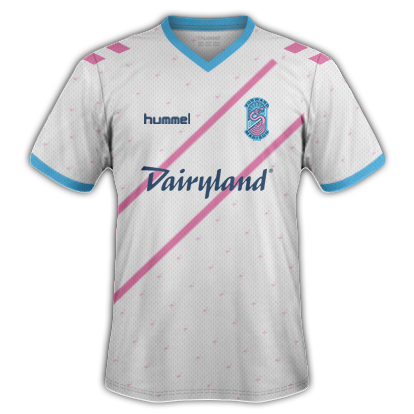 I made the new kits for Forward Madison FC, anyone can include them in their graphics pack if they want. Hey - Loving the database and extra depth for playing in MLS. However, I'm having an issue where the 2019 Super Draft isn't triggering. 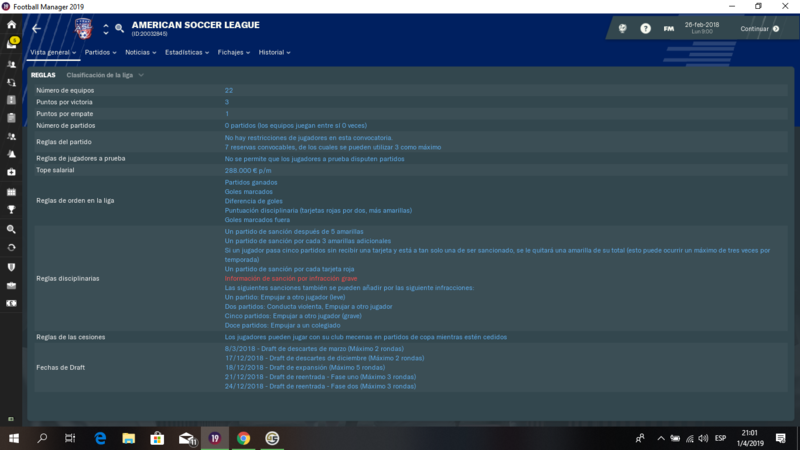 I received the notification that people registered for the draft in December 2018, but when I reach the draft date in January 2019, nothing happens. 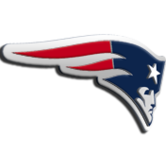 No combine games are being played either. Is anyone else having this issue? I don't have any other mods or databases installed. I downloaded this but still doesn't work. why is there an nwsl league where is mls? Game crashed with the files as well. Any suggestions? Hi, Uncle Sam - incredible job on this. 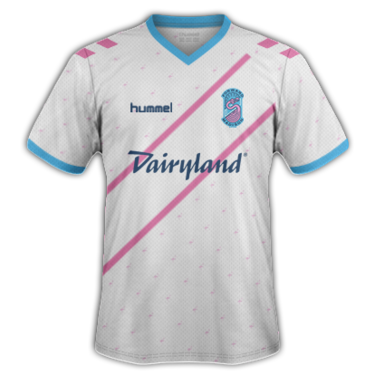 I played a full season as Miami FC in the last week and everything was going great until we moved into the new NPSL Pro in 2019. 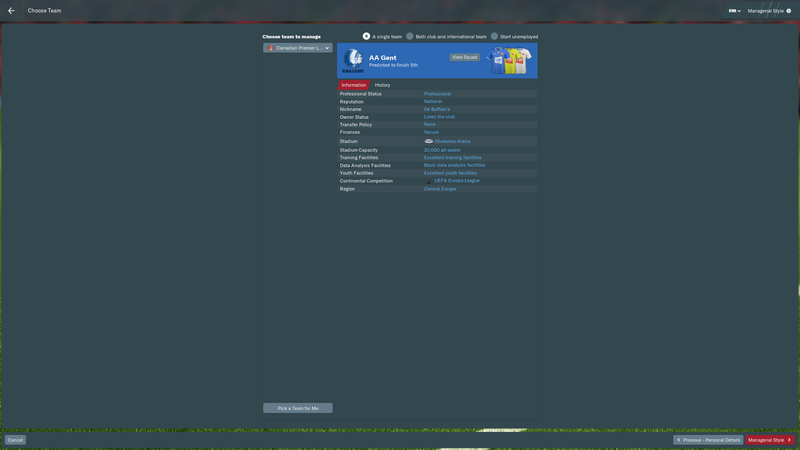 When it came to the first league game I could only select U18 players and was unable to override it in anyway. Is this a known issue // am I using an old version of the file? Just noticed I got the file from Passion for FM and not here so every chance I am using an outdated file - will start again with the new one and see what happens! This is happening for me now having downloaded the 19.3 version. If anyone ever edited this db to include pro/rel and no draft, caps etc I would be eternally grateful! Is there a way to just use the USA part of the file not the Canadian part as I have another one to use or no? Has anyone finished a full MLS season with the new file, is the super draft working for you? I can't seem to get it to trigger. Also, is there a console command or something to trigger it or is my save broken? Just edited the OP with a new version of the file that makes some corrections to both the USA and Canada. I do apologize for my absence but it's been an extremely busy couple of weeks. I have to run right now but I hope to post later on some of the changes/fixes. Thanks Uncle Sam, looking forward to it! Has loaning been fixed at all from MLS teams? 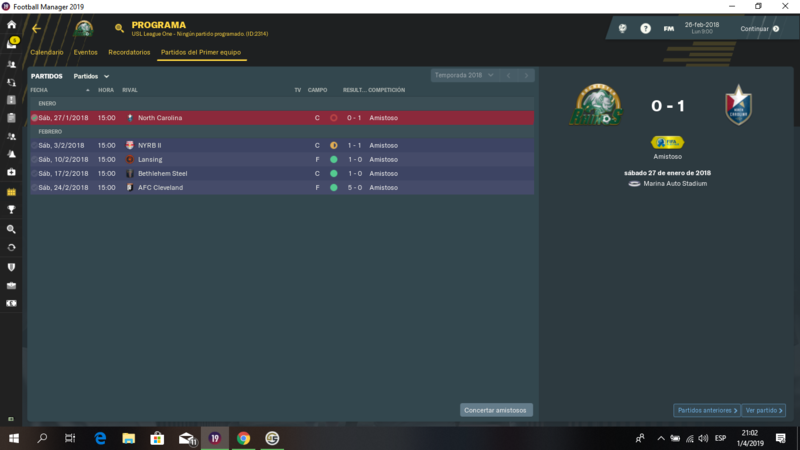 Even if I set up an affiliate and have an open transfer window, every time I attempt it says I have to wait until the next transfer window. 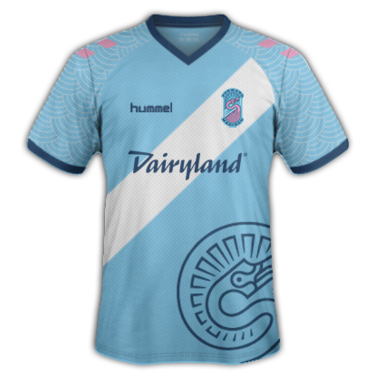 Is it too much to ask if you add all of the team in UPSL? It’s mainly cause I’m in that league, but the second division. 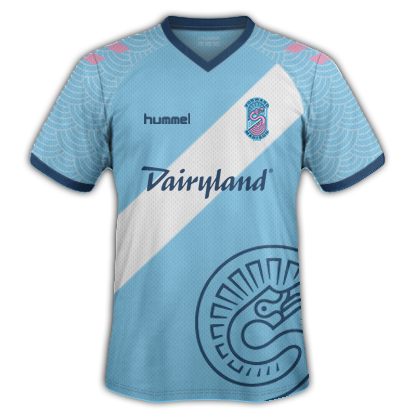 Did some further testing on the non-latest file, and the winner of the CONCACAF Champions League doesn't appear to get placed into the Copa Sudamerica. I haven't had a chance to start a new game with the latest file from Uncle Sam yet. Hi, just a quick question. I am bit confused which files I should use if I want to play Central America and Caribbean. I want working all leagues in North America with Champions League, Central America club championship and Caribbean club championship. In later stage I would like to move to US or Canada. Also I don't understand issue with Costa Rica. Which files should I use? 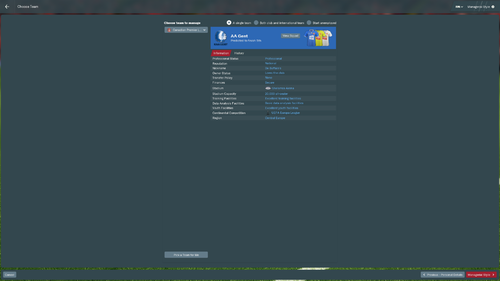 Hey - restarted with the newest file, finding that a bunch of players are looking for new contracts that are 4-5x+ more than what they are currently getting. For example, playing with New England and Farrell wants 1m per year (he's only on 250k per year now). Caldwell wants 900K (currently under 200k). Didn't encounter this in my last save, anyone else experiencing this? Cerofutbol33, USL League One doesn't start until 2019. Wait until the next year in game and you'll play a full season. Can somebody help me with what files I should select during creating of game? it always crash. I don't think anyone really knows. It seems several people are having the same problem.